Back in the day (clearly before my time), people used analog (then digital) alarm clocks to wake them up in the morning (or any other time of the day). 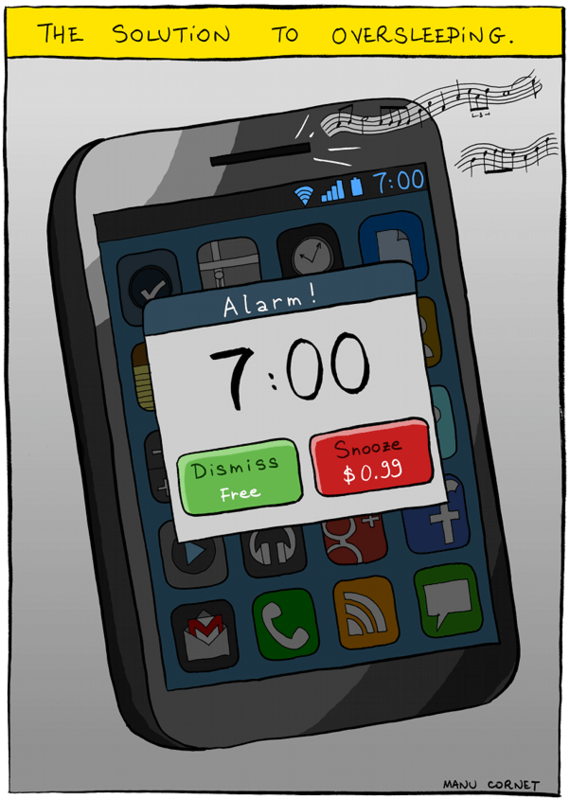 With the advent of the modern smartphone courtesy Apple, many people (including myself) simply use alarm clock apps on their phones (or tablets) to wake them up. …Although the truly stubborn will simply start hitting ‘dismiss’ instead of ‘snooze’ and go back to sleep. Resulting in potentially longer oversleeptness (I don’t think that is a word).